I hope I get this right as it’s my very first time joining in with a meme on this blog! Dying to be Slim by Abby Beverley, it’s completely different to what I was expecting but I’m very much enjoying it. An unusual turn of events presents Clara with the ability to step out of her own body and, stumbling upon a problem within her ‘perfect’ family, Clara sets off in search of a solution. Far from finding answers, however, Clara encounters complications which question all she has ever believed to be true about her children, their partners and her man. Pretending to Dance by Diane Chamberlain. I started this late last night and only managed a couple of chapters but it’s already got me hooked! When the pretending ends, the lying begins . . . Molly Arnette is good at keeping secrets. As she and her husband try to adopt a baby, she worries that the truth she’s kept hidden about her North Carolina childhood will rise to the surface and destroy not only her chance at adoption, but her marriage as well. Molly ran away from her family twenty years ago after a shocking event left her devastated and distrustful of those she loved. Now, as she tries to find a way to make peace with her past and embrace a healthy future, she discovers that even she doesn’t know the truth of what happened in her family of pretenders. 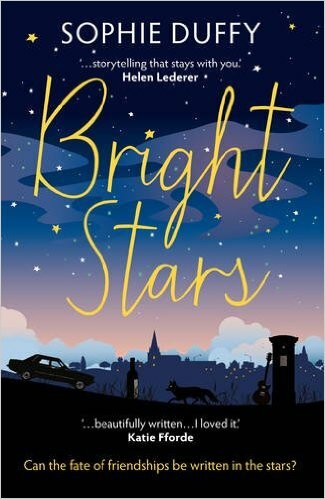 Bright Stars by Sophie Duffy, which was excellent. Once I got into it I found it hard to put down, and now a day after I finished it I still keep thinking about it. 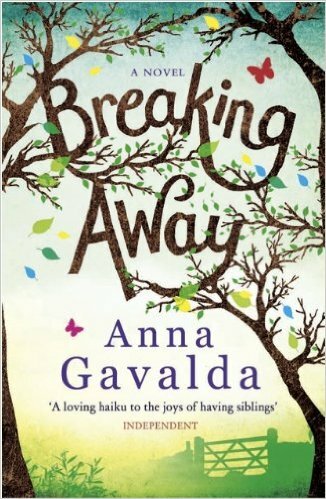 Breaking Away by Anna Gavalda. A wonderful book that really celebrates the relationships between siblings. On a car journey to a family wedding, Garance reflects on how adult life, with its disappointments and responsibilities, has not always gone to plan for herself or her three siblings. But just around the corner lies the chance for them to revisit their younger, carefree selves. A touching, funny and insightful story by one of France’s most successful authors. The Clasp By Sloane Crossley, which I was lucky enough to receive an arc for and am so looking forward to reading. Reunited for the extravagant wedding of a college friend: Kezia, the second-in-command to an eccentric jewellery designer; Nathaniel, the former literary cool kid now selling his wares in Hollywood; and Victor, who has just been fired from a middling search engine. They soon slip back into their old roles – Victor loves Kezia. Kezia loves Nathaniel. Nathaniel loves Nathaniel. In the midst of all this semi-merriment, Victor has a bizarre encounter with the mother of the groom that triggers an obsession over a legendary necklace. Lacking employment or any other kind of tie, Victor leaves New York in search of the jewellery, supposedly stashed away in an obscure small-town chateau. And, in a bid to save him from ruining whatever is left of his young ambitions, Kezia and Nathaniel set out to find him. Heartfelt, suspenseful and told with Sloane Crosley’s inimitable spark and wit, THE CLASP is a story of friends struggling to fit together when their lives haven’t gone as planned and of learning how to tell the difference between what’s real and what’s fake. After You by Jojo Moyes, which I treated myself to and am so excited to read. I adored Me Before You so I have high hopes for this. This entry was posted in Book Meme, Books, ebooks, WWW Wednesday, WWW Wednesdays and tagged Abby Beverley, Anna Gavalda, Books, Diane Chamberlain, ebooks, Jojo Moyes, Sloane Crossley, Sophie Duffy. Bookmark the permalink. I like the sound of Dying to be Slim, as that’s not a point of view that’s often portrayed in books, where heroines and heroes tend to be on the slim side. I hope you enjoy it! Thanks for commenting! 🙂 Dying to be Slim is a good read, I’m enjoying it. It’s not exactly what I thought it was going to be though because inside Clara there is a slim woman and it’s this person who does the investigating. Having said that, when Clara is in her real, obese body there is a lot of honesty in how her obesity affects her and her family. It’s an interesting read and something a bit different. Ooooh After You; the book of the moment. I hope it lives up to everyone’s expectations! I know, I so badly want to read After You but I’m apprehensive in case it doesn’t live up to Me Before You. Hopefully it’ll be fab. Enjoy Moyes! I know many people adore her stories. Happy reading and thanks for participating in WWW Wednesday! Thank you, I’m hoping it won’t disappoint! I enjoyed joining in with my first WWW Wednesday – thank you for hosting and allowing me to take part. Welcome to Wednesday postings – sorry I’m so behind with my response this week (I’m not normally this far behind) Love your choices and I’ve heard good things about Diane Chamberlain’s latest Pretending to Dance and I want Jojo Moyes follow up to You Without Me but since I know it will make me cry buckets I’m waiting for the OH to go away before indulging myself! Thank you! I’m enjoying Pretending to Dance, I think I’ll be finishing it this weekend. After You is really good but I have to keep putting it down while I cry. Hope you get a chance to read it soon.